And here we are. The day has finally arrived. 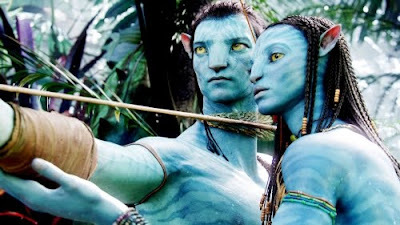 It only took about ten years but James Cameron’s labour of a lot of love, AVATAR, has finally been revealed to a world that has been desperately waiting for it. You’d think it were the second coming from the way people have been lining up for tickets or even from the way in which the film has been marketed. Supposedly, it will change the way we see movies. I haven’t seen a “normal” movie since watching AVATAR earlier today so I can’t fully test that theory but I can see where they’re going with it. AVATAR is nothing if not inventive and expansive. It is certainly unlike anything I’ve seen before but I’m not necessarily clamoring to see it again and again. I should mention that I’m something of a purist. I am a great lover of cinema but I’m not always able to get on board with drastic change right away. AVATAR presents great possibility for the future of cinema. 3D technology has never been applied to live-action footage (if we can really call this live-action, considering only 40% is real footage and the rest is CG) as extensively as it has been here. My concern is that it could always end up gimmicky instead of relevant. Cameron infuses 3D into AVATAR with such delicate care though that every image becomes an interactive experience. At times, it is as if he is speaking directly to the audience with a visual language that is as original as the planet Pandora, where all of this movie magic takes place. The visual impact is staggering but it is the manner in which the audience is involved in the picture that will make AVATAR memorable. Now, if Cameron had spent as much time fleshing out his story and characters as he did on the look of the film, he might have a masterpiece on his hands. The film’s failings are not so bad that they detract from the overall enjoyment factor but with a near three-hour run time, I found myself facing them more often than I would have liked to. If it weren’t for the technological advancements, AVATAR would be nothing more than a really long commercial for going green. None too surprisingly, mankind (or maybe just the Americans as they are the only people around) messes up Earth pretty bad in the future and needs to go elsewhere to pillage for natural resources. 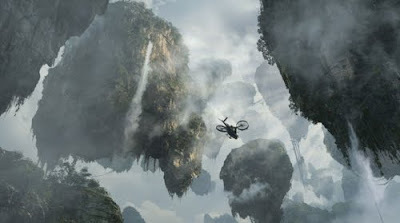 Pandora is a highly volatile environment and its inhabitants are deeply spiritual, have a profound connection to their planet and subsequently are completely misunderstood by the belligerent invaders. By keeping it vague, Cameron paints a blanket evil and gives it the already hated face of corporate America. Who knew their reign of terror had such far reach? Whether AVATAR will truly change the way we watch movies remains to be seen. Only time will tell if the technology Cameron pushed is used to strengthen or further cheapen Hollywood films. 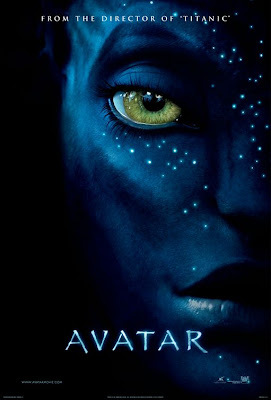 That same time will tell whether AVATAR is a passing fascination or a truly great piece of cinema. There is no denying though that Cameron has justified his crown as one of the great blockbuster filmmakers of our time. He has crafted a work that truly transcends what it means to see a film and invites the audience to partake in a unique experience instead. For the first time in a long time, Hollywood has a movie that is a must-see on the big screen.